10th March 2018: In Hollywood, very few stars have achieved the so-called ‘Triple Crown of Acting’ with their powerful performance. 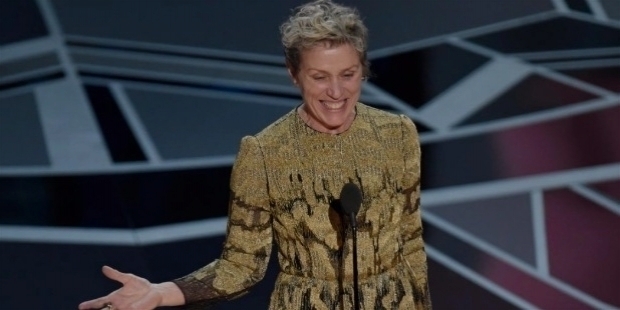 The Best Actress in Lead Role Oscar winner Frances McDormand is the toast of the season. With her power-packed performance in 3Billboards Outside Ebbing, Missouri – she has been receiving accolades from all quarters. The American actress has won two Academy Awards, a Tony Award and two Primetime Emmy Awards. Cynthia Ann Smith was born on the 23rd June 1957 in Chicago, Illinois. The turn of events in life is so unpredictable and no one has the control over it. Barely one and a half years in the world, little Ann Smith’s life changed forever. Noreen Nickleson and Vernon McDormand adopted this little angel and renamed her Frances Louise McDormand. The couple was childless. Little did Noreen and Vernon knew then that this name would achieve fame and success to become renowned in the world.Noreen was working as a receptionist and nurse. Vernon was a disciple of Christ pastor. The couple had migrated from Canada. The family moved frequently because Vernon McDormand specialized in restoring congregations. They moved from various small towns in Illinois, Georgia, Kentucky, and Tennessee to finally settling down in Monessen, Pennsylvania. It was here, where the little Frances grew up to graduate from the Monessen High School. Having graduated in 1975, Frances went to Bethany College in West Virginia. She used to take active participation in school plays and drama. In 1979, Frances McDormand completed her Bachelors of Arts in Theatre. Her passion towards acting made her achieve her Master of Fine Arts from the Yale School of Drama in 1982. She was now ready to conquer the world with her acting skills, which has resulted in winning two Academy Awards and many other prestigious awards in life. As a theatre actress, Frances McDormand made her debut in Derek Walcott’s play ‘In a Fine Castle’. The play was also known as ‘The Last Carnival’ and it was funded by the MacArthur Foundations. It was performed in Trinidad. In 1984, the Coen Brothers gave her the big break in their film ‘Blood Simple’. The bonding with Coen Brothers and Frances McDormand saw her acting in a number of their films over the years, prominent among them were ‘Blood Simple’ (1984), ‘Raising Arizona’ (1987), ‘Fargo’ (1996), ‘The Man Who Wasn't There’ (2001), ‘Burn After Reading’ (2008), and ‘Hail, Caesar!’ (2016). She earned her first Academy Awards and Screen Actors Guild Award in Coen Brothers’ ‘Fargo, in which Frances played the role of Marge Gunderson. In the fifth season of ‘Hill Street Blues’ – the television police drama, Frances portrayed the role of Connie Chapman. In a stage production of Tennesse Williams’ ‘A Streetcar Named Desire’, McDormand was loved as Stella Kowalski. Her powerful performance went onto earn her a nomination at the Tony Awards. She loves doing theatre. She is an associate member of ‘The Wooster Group’, which is an experimental theater company. Her strong body of work in films, theatre and television grew from strength to strength. Her performances were acclaimed critically and McDormand started gaining huge popularity. Portraying the role of Police Chief Marge Gunderson in ‘Fargo’ in 1996, McDormand’s histrionics earned her the first ‘Best Actress Academy Award’. Two years later, she has nominated again for the Academy Awards in the ‘Best Supporting Actress’ category for ‘Mississippi Burning’ in 1988. McDormand’ portrayal of an overbearing mother in ‘Almost Famous’ fetched another nomination at the Academy Awards in the ‘Best Supporting Actress’ category in 2000. She was also nominated for the Golden Globe Award in the ‘Best Supporting Actress’ category for ‘Almost Famous’. Her fourth Oscar nomination came with ‘North Country’ in 2006. McDormand was nominated for the ‘Best Supporting Actress’ for her performance in the film. In the dark comedy ‘Friends with Money’, she won an Independent Spirit Award for her supporting role in 2006. Her fame started soaring towards a higher horizon. 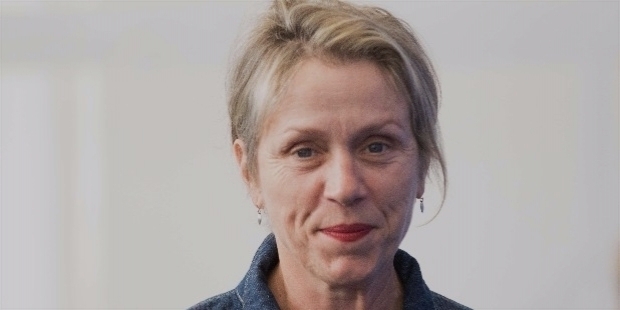 McDormand co-produced and starred in a four-part mini-series ‘Olive Kitteridge’, based upon the series of short stories by the same name by Elizabeth Strout. The mini-series was telecasted on HBO in November 2014. Her role won McDormand the Primetime Emmy Award and Screen Actors Guild Award for Best Actress. Frances won her Tony Award for the Broadway play ‘Good People’. 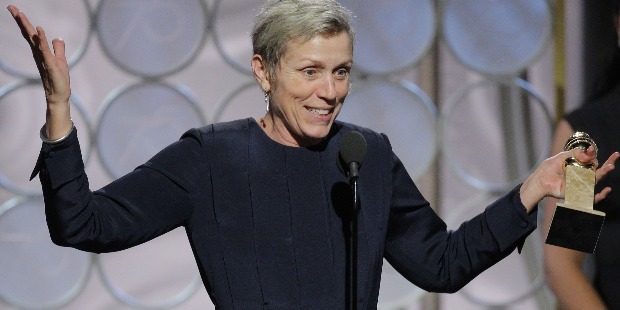 Frances McDormand became the 12th actress in the history to achieve the ‘Triple Crown of Acting’ with her Emmy Award’s win. The prestigious honor of ‘Triple Crown of Acting’ involves for being competitive Oscar, the Emmy and the Tony Awards win in multiple acting categories. 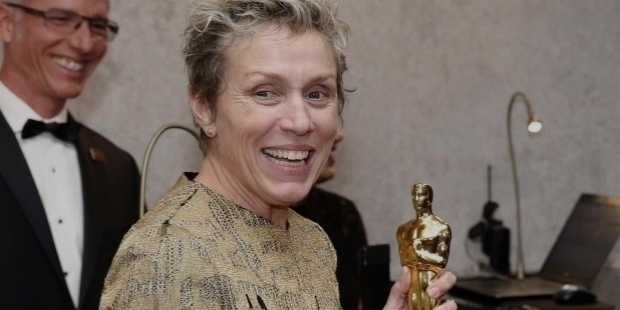 Playing the lead role in ‘3 Billboards Outside Ebbing, Missouri’, McDormand won her second Academy Awards at the recently concluded Oscar Awards. She also won the prestigious awards of the Golden Globe Award for Best Actress in a Motion Picture – Drama and the Screen Actors Guild Award for Outstanding Performance by a Female Actor in a lead role and BAFTA Award for Best Actress for ‘3 Billboards Outside Ebbing, Missouri’. Frances McDormand married director Joel Coen in 1984. In 1995, they adopted a son named Pedro McDorman Coen, who hails from Paraguay. The small successful family resides in the New York City and has another residence in the Western Marin County, California.